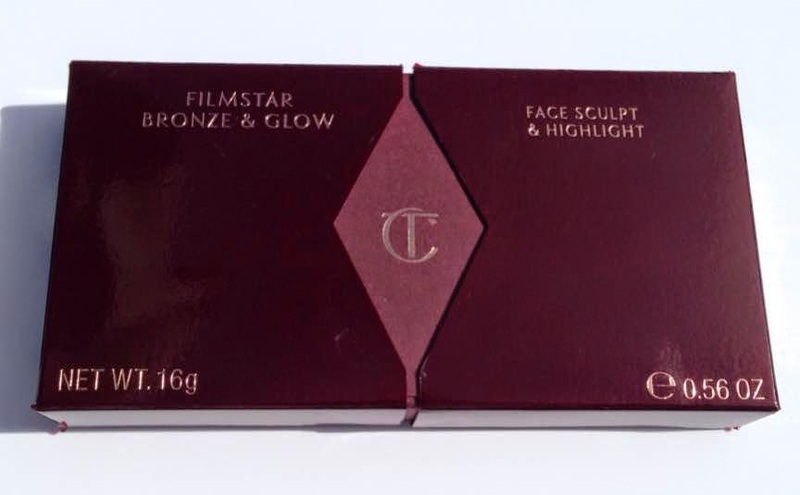 Charlotte Tilbury Filmstar Bronze & Glow has been on my wishlist since its release and last week I finally got my hands on it! I have only heard amazing things about this product, but the price tag of £49/€65 is the reason I haven't tried it before now. I already have a whole wardrobe of bronzers and highlighting products so it took a while before I could justify the splurge, but it was worth the wait! First up, the packaging is stunning - as with all Charlotte Tilbury products. I love the burgundy with rose gold lettering - it has that classic art deco look to it, that is so luxe and chique. Inside the box are directions on how to use the product & where to apply the individual products. To sculpt the face, the bronzer is applied to the hollows of the cheeks, sides and tip of the nose and along the jaw line & temple. The highlighter is applied to the tops of the cheekbones, down the centre of the nose, across the bow of the lip and on the brow bone. The packaging that contains the product itself is stunning, again it its rose gold and it feels quite sturdy. In fact, I dropped it as soon as I took it out of the box and held my breath until I opened it, all the time praying that it wasn't broken when I had waited for so long to buy it! I needn't have worried, it was perfect inside! I must admit that I was surprised that the bronze section wasn't deeper because any pictures I had previously seen of it looked like it was darker, but once I swatched it, I knew that it was the right shade - it has depth to it that definitely warms up the complexion without being orange, the way some bronzers are. The highlight shade is warm too, which is definitely my preference because I find cool highlighters to be too silvery on my skin. Both the sculpt and highlight products are really buttery soft & smooth to touch. They are an absolute dream to use and to blend. In terms of powder bronze, contour & highlight, this is my favourite product in my collection (I still love my cream contour sticks from Smashbox) but for ease of use and how natural they look, this product is right up there for me. The price tag is high but I can see myself using every last speck of this, so I definitely feel it is worth the splurge. Next on my list is the brush that Charlotte recommends using with this - the Powder & Sculpt Brush but it will be a while before I invest in that because it costs £35/€45, which is quite a lot on top of what I have already spent! Some day though! So tell me, have you bought the Charlotte Tilbury Bronze & Glow? Do you love it as much as I do? 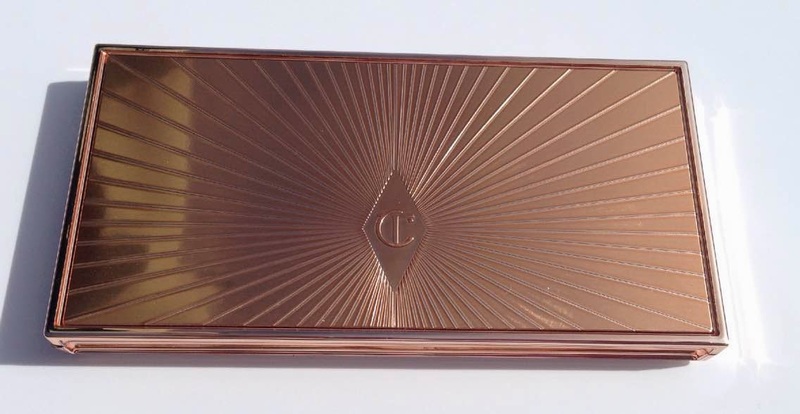 What else is on your Charlotte Tilbury wishlist? that looks so gorgeous! It's definitely on my wishlist now! I can only imagine how lovely this is, I've only heard good things! Such a stunning palette, i need this in my life!